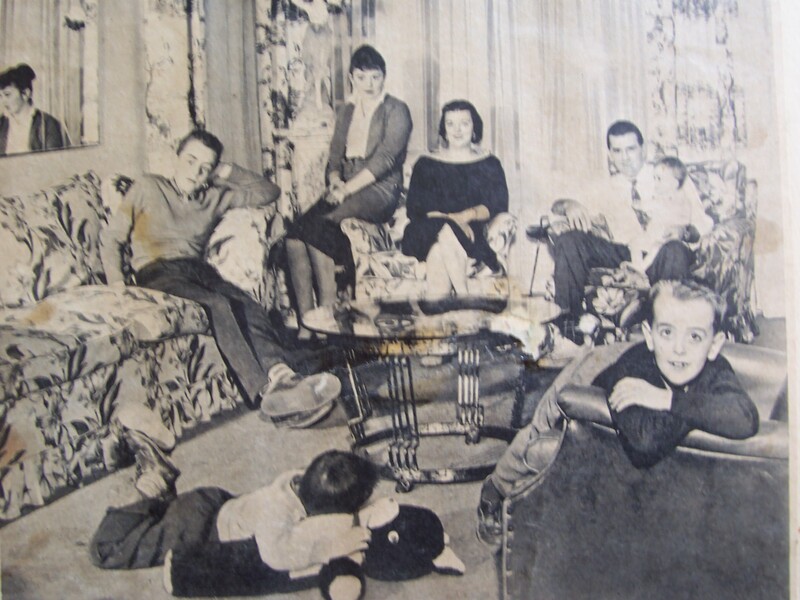 This is Maurice Richard, of course, just sitting around with his wife Lucille and the family. The kids are Maurice Jr., Hugette, Normand, Andre, and Suzanne. 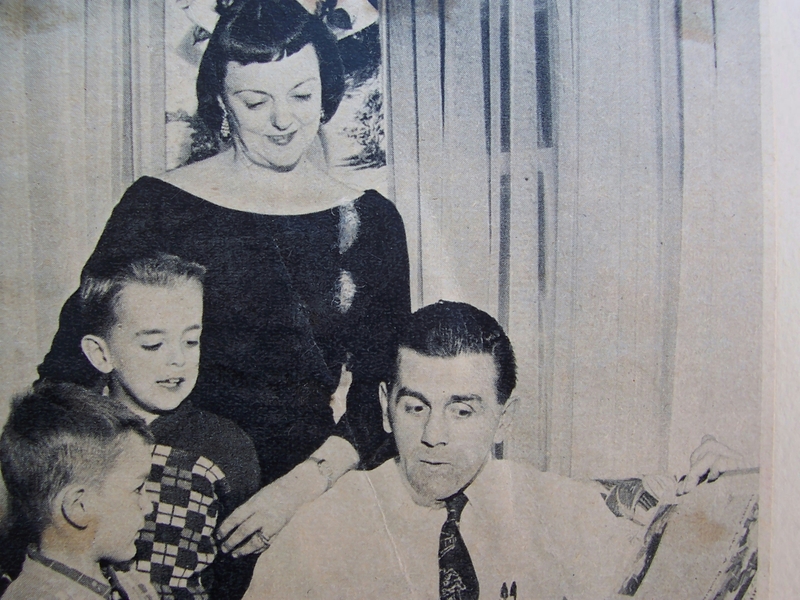 In the left photo, the Rocket shows his Rocket scrapbook to Normand and Andre. Most kids don’t have dads with a personal scrapbook. However, my dad was probably a much better sign painter than the Rocket. 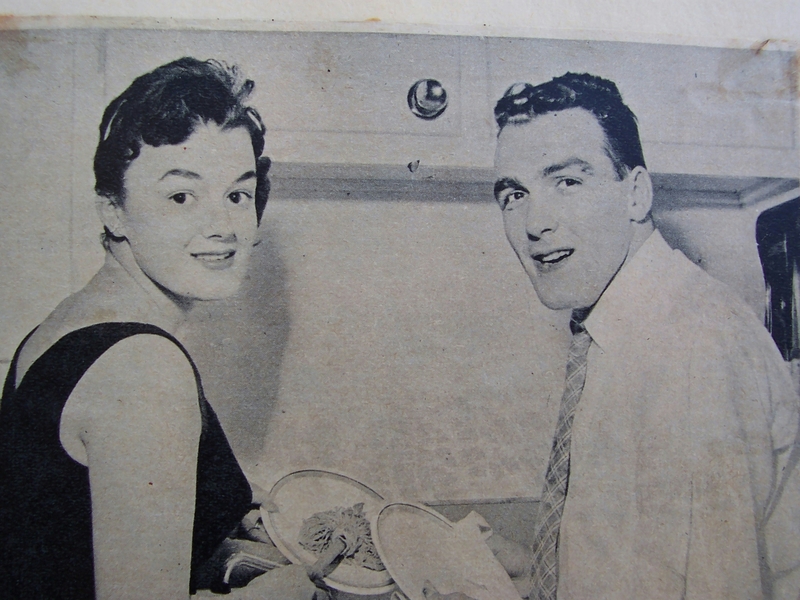 Henri Richard and his lovely wife Lise, being happy and healthy at home in Montreal. We would see Lise often over the years in camera shots at games with the Pocket. She’s always looked great. Quite a handsome couple, don’t you think? 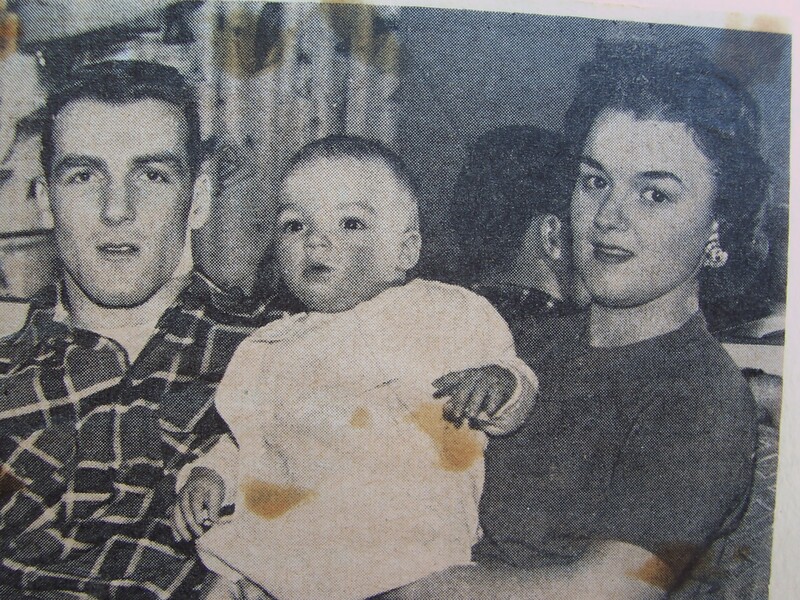 Henri was just a little kid when his older brother was becoming a star with the Canadiens.